Week 78 already and as it has recently been my other mum’s birthday , I had given her a token with four choices of birthday cake (from Mary Berry’s Baking Bible – of course) so that she could choose what birthday cake she got. Due to some recent ill health, no choice had been made and suddenly it’s hubby’s birthday too and so a joint birthday cake was the choice of the day otherwise we would be all caked out- literally! 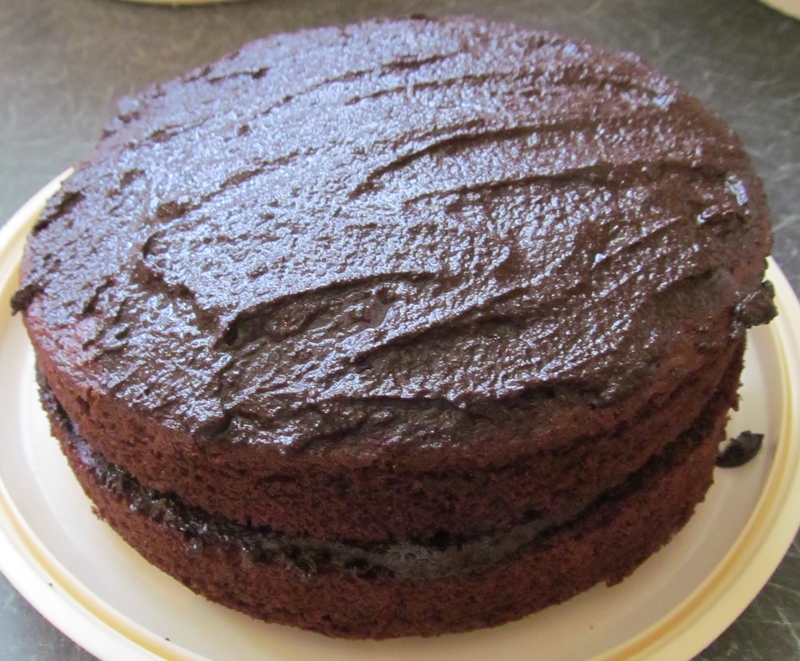 So I dipped into the Baking Bible with hubby and he chose the very best chocolate fudge cake. This seemed like an easy recipe to do so off I set. I added cocoa to some hot water and mixed it together then added all the other ingredients and mixed it thoroughly. I then split the mix between 2 greased and lined sandwich tins and popped them in the oven. The smell as they cooked was mouth watering. The cakes rose well and no dips in the middle today so the oven behaved today. To make the topping/filling Mary asks you to melt the chocolate with some cream and when cool, use as a filling and topping. So nearly 2 bars of dark chocolate and a pot of cream later, I had to spread some in the middle and over the top! 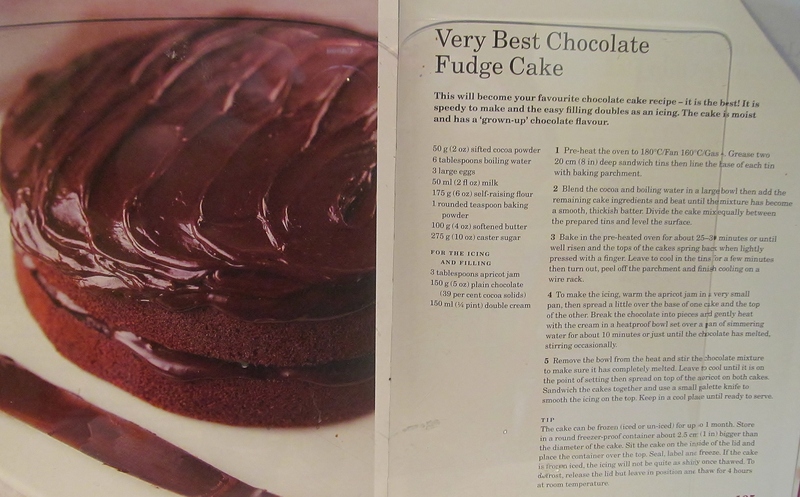 The second recipe- what to do as I had already made a cake that was going to be very rich and filling. 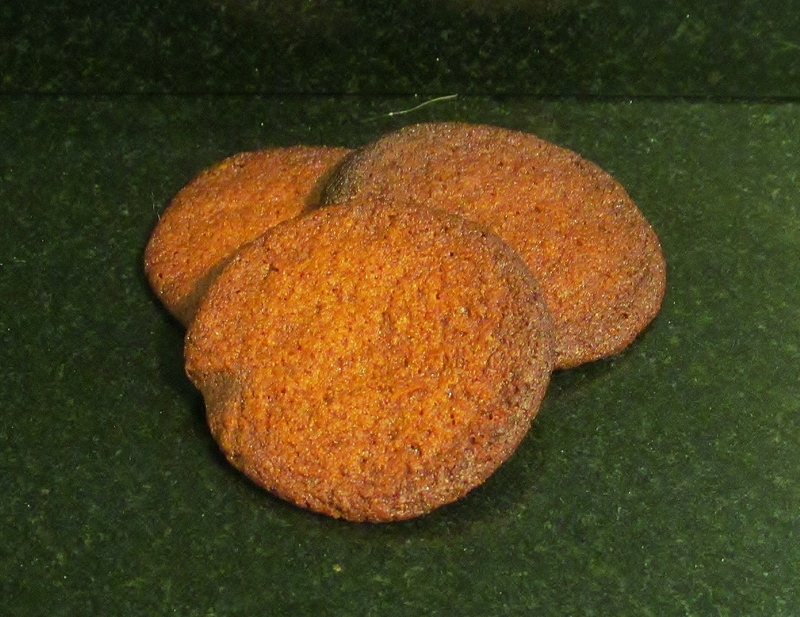 I found the Cornish Fairings recipe and followed Mary’s recipe carefully. I rubbed the butter into the flour and then added the sugar. I then heated the golden syrup and added this to the mix until it formed a dough. Mary then asks you to roll the dough into cherry size balls and bake for 10 minutes then remove the tray, bang it on a hard surface and return to the oven for 5 minutes. I found that the biscuits didn’t need to be banged although I did this anyway and that they burnt really easily and almost a quarter of mine were too far gone to be rescued. The one thing they did have going for them was that they had the biscuit snap when you broke them in half! So I want to wish a belated birthday to my other mum and I hope that you begin to feel better soon. I would also like to wish my special hubby a happy birthday too. I know you didn’t get what you wanted for your birthday but we have each other and I love you very much…and so do the hairy hoolies! This entry was posted in Kim's cake challenge and tagged Baking Bible, Chocolate Fudge Cake, cornish fairings, dark chocolate, double cream, Kim's Cake Challenge, Kim's Cornish Fairings, Kim's Very Best Chocolate Fudge Cake, Mary Berry, Mary Berry's Baking Bible, Mary Berry's Cornish Fairings, Mary Berry's Very Best Chocolate Fudge Cake by kimsideas. Bookmark the permalink.